u-fab offers thousands of beautiful designer fabrics at extremely competitive pricing. Known for our bold prints and on trend textiles, come to us to find the fabric to make your room stand out. Most photos we share include fabric available at u-fab, contact us for details. 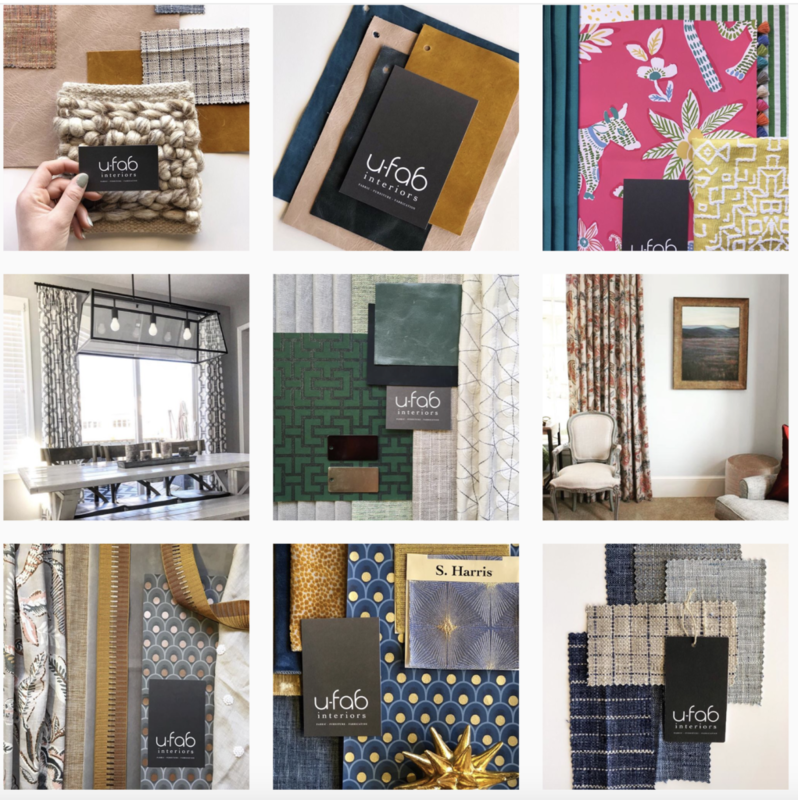 If you’re tired of taking home a small swatches of fabric to decide on a big project that will be the focal point of your room, u-fab offers a 18″ x 24″ sample fabric loan on most of our fabrics. Check out your sample in the same manner you would a library book. Borrow our large swatch of fabric to really get a feel for it in your space! Bring it back up to a week later free of charge! Ask an in-house designer for more details on a fabric you’re coveting including how quickly it can be in your hands, what the content is and the ideal use is for a particular fabric.